Arrived in Tampa around 12:30 in the AM. The last 56 miles my low fuel light was on but after some quick calculations regarding tank size and displayed fuel consumption, I figured I could make it. No problem. Had a couple gallons to spare. Upstate Jay called yesterday during my drive. He stopped in French Lick and toured the West Baden Springs Hotel. To his surprise, a copy of Dee Darden’s LPGA photo book, Inside the Ropes, was prominently displayed. He noticed that my picture was included so he decided to pass on the info. Said it looks like they have a mini Legends Hall of Fame. 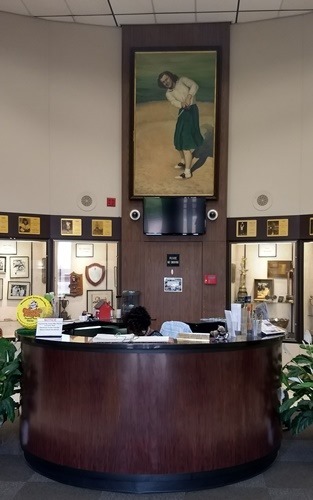 After many years of passing by the “Babe” Didrikson Zaharias Hall of Fame in Beaumont Texas without stopping, I wasn’t about to do it again. I was the first one there Saturday morning. 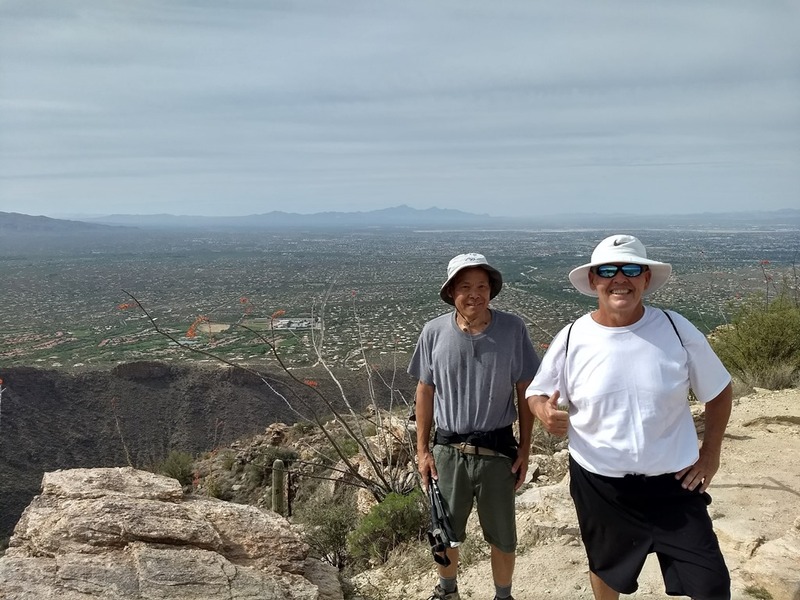 Stopped in Tucson a couple days and hiked Sabino Canyon last Thursday with Quiet Dave. We did the same route years ago. Started on the Phoneline Trail then split off on Blackett’s Ridge which ascends rapidly. I had little recollection of the other hike but as the degree of difficulty mounted, it stared to come back. Almost six miles and over three hours. 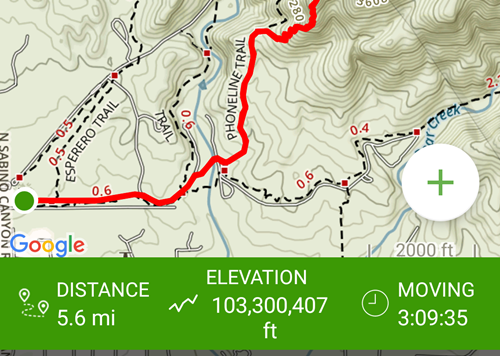 Here’s a synopsis of our trek from the AllTrails app. Check out the elevation. I think that put us in the record books. You are currently browsing the Life on Tour blog archives for the day Sunday, April 29th, 2018.